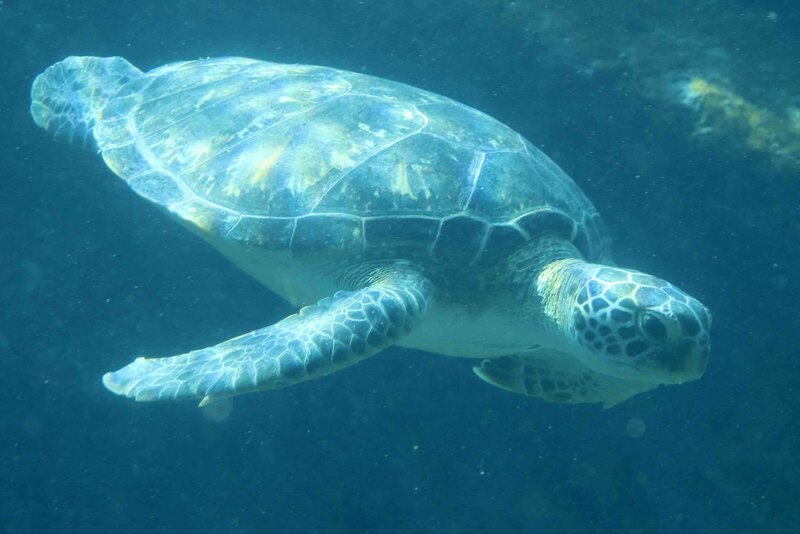 Calypso is a sub-adult Green turtle (Chelonia mydas) who is still too young to positively identify as male or female. When the staff at uShaka Sea World first saw her they thought that she was so extraordinarily beautiful she must be a young lady and called her Calypso. On arrival she presented with no visible external injuries but was found to be lethargic, dehydrated and positively buoyant. Although she is now strong and healthy, initial and follow up X-Rays showed there is a small hook in her gut which means she is unfortunately not yet ready for release. The veterinarian will continue to track the movement of the hook until it is safely out her system. Davey Jones (DJ) is a Loggerhead turtle. She was rescued and rehabilitated in Cape Town in 2015 and was transferred to uShaka Sea World about a year later. She is estimated to be 6 years old and has spent the past five years finding new ways to steal food from the rest of her mates. This boisterous young girl eats anything but definitely seems to enjoy crab and prawn the most. Fran is a Hawksbill turtle. She was rescued from the Bluff in November 2016 by one of our team. She was named Fran, because her incredibly beautiful shell reminded him of the person he was going to marry. Fran, was emaciated upon arrival and was missing her left front flipper. Her shell was overgrown with algae and barnacles; she was dehydrated and didn’t have the energy to swim. We were unable to determine what caused Fran to lose her flipper; either a predator or entanglement in fishing line. 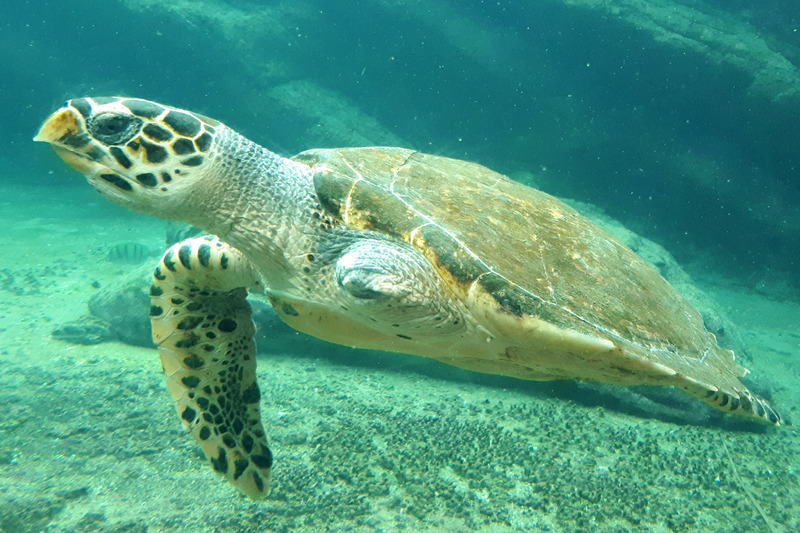 While some turtles are able to cope in the wild with three flippers, Fran was unable to and has made uShaka Sea World her home. Fran is a little camera shy, but can usually be found swimming around our turtle lagoon looking for crabs to munch on. 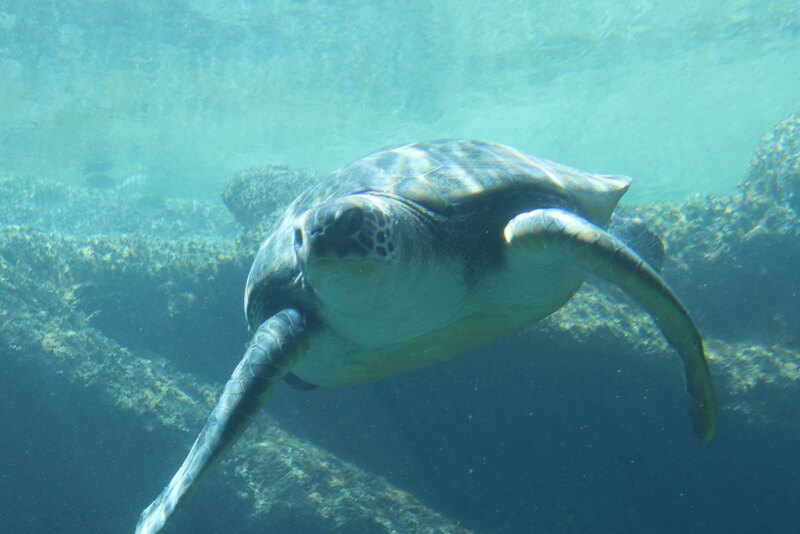 Napoleon is our adult male Green turtle. He was found stranded in Sodwana in 2011 and was in poor health. Napoleon was initially unable to swim or eat on his own and the prognosis was poor. 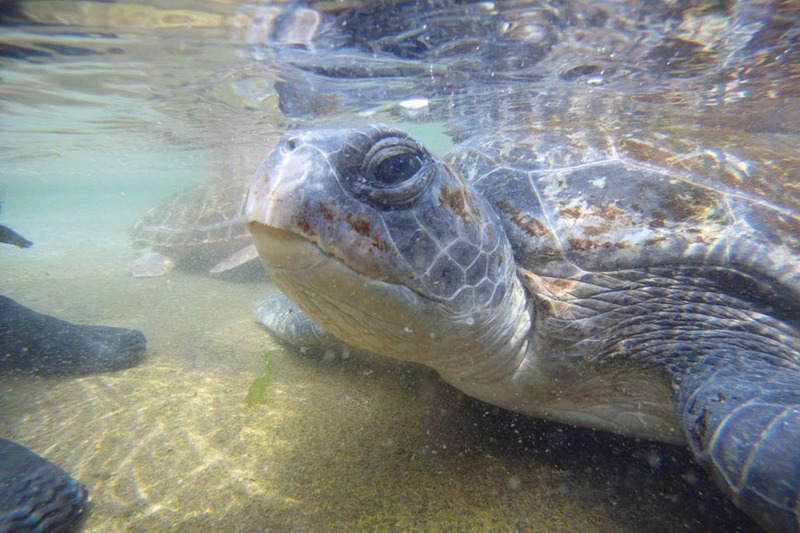 After several months of intensive rehabilitation, treatment and exercise, Napoleon was well enough to join the rest of the animals in our Turtle Lagoon. He is still a little more buoyant on one side and needs extra care when the temperature drops. 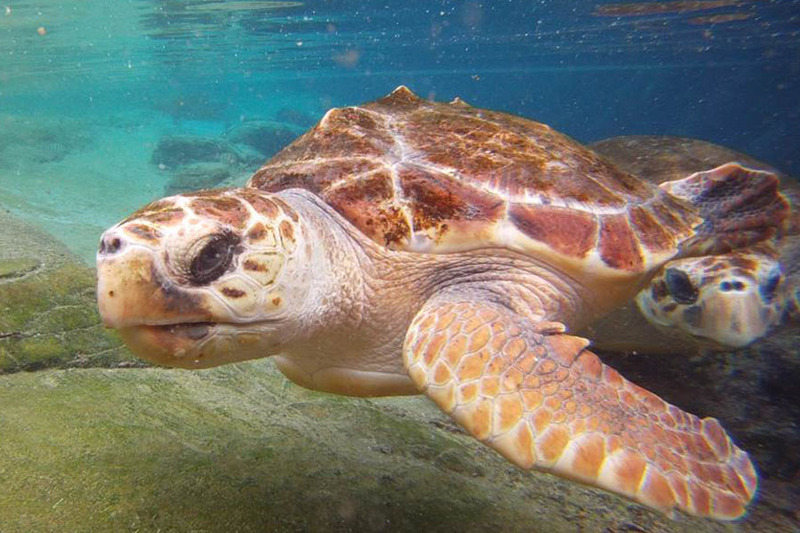 Napoleon is a gentle giant; he spends his days relaxing in the exhibit and can often be spotted following the female turtles. Wasabi is a Green turtle. She was rescued in Cape Town and got her name from her incredible bite. She has developed arthritis in her right front flipper from an injury she sustained before being rescued. This makes it very difficult for her to swim in colder weather. Her pain is managed with medication when needed. Wasabi loves munching on sea lettuce, back scratches and can often be found distracting our divers from their work.